Moving to another country is an exciting, yet perhaps daunting experience. Upon arrival one may experience a rollercoaster of emotions due to culture shock, learning a new language and adapting to the new surroundings, however once the initial excitement has worn off, you may find that before you can truly settle in, there are several legal translation requirements that CBLingua, as an official translating agency, can assist you with. The Spanish Government reports that currently there are approximately 120,000 British homeowners on the Costa del Sol, yet the British newspaper, the Guardian, estimates that in fact Malaga and its surrounding areas, is home to over 300,000 British expatriates. Our office, found in the centre of the cosmopolitan city of Malaga, tends to the official translation needs of British ex-pats seeking a laidback lifestyle on the Spanish Mediterranean coast. The question to be asked is, when would you, as a British ex-pat living in Spain, require a legal translation? Are you an ex-pat planning to get married in Spain? The documentation needed may vary depending on yours and your partner’s situation, however some types of legal documents that may be required for a Spanish wedding are; a marital status certificate, a certificate of no impediment, birth certificate, and when appropriate, a divorce decree. Are you ex-pat with entrepreneurial ideas? If you are looking to open your own business in Spain always seek professional and legal advice. Once you are sure of your business documents requirements, whether they may be documents for the creation of certificate of incorporation and registration with the Companies Registry, the registration of your Company with the AEAT (Spanish Tax Authority) or its registration with the Spanish Social Security system, CBLingua’s specialised sworn translators will take care of the legal translation. Are you planning to invest in a Spanish retreat? All ex-pats wishing to buy that dream home by the sea must present several documents for their mortgage to be processed. Proof of your ability to pay is an obvious one. You may be asked to prove a verifiable source of income, which may consist of the presentation of your last three pay slips, a work contract or perhaps bank statements. 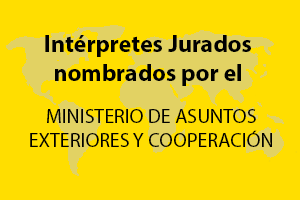 Documents that are not written in Spanish will have to be translated; the Spanish authorities may ask you to provide a sworn Spanish translation of any of the above legal documents, signed and sealed by a Sworn Translator (Traductor Jurado). It is worth taking into account that those legal documents that you wish to present before a public entity must generally include a legalisation from the country of issuance. CBlingua is here to assist ex-pats to marry, trade, work, study and live in Spain. So if you are a British expatriate that has fallen in love with the Spanish way of life, wishing to escape the fast paced British lifestyle and are looking to settle down in Marbella, Almeria or Malaga, CBlingua welcomes you to visit our Malaga office where we have a team of highly qualified sworn translators, ready to assist you with the sworn translation any documents necessary for you to embark on your ex-pat adventure.